World Poetry Celebrates Keisha Prince ! Calling in at 1:10 pm PST was the talented actress, musician and mother, Keisha Prince from Toronto, one of the talents of the moving and insightful I-toons special 52 Words of Love, a Valentine special. Following her interview at 1:30 PPM PST was Dr. Mark Lomax with his 12 album project 400 Years of Slavery . 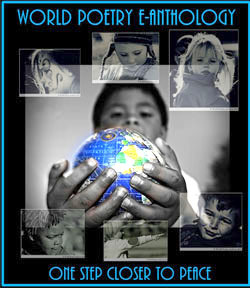 Also poems from the World Poetry Almanac complied and edited by Dr. Hadda Sendoo and a story by Sharon Rowe. Keisha’s message to the world was to give more application and emphasis to the positive and less to the negative and to remember we are all connected. Also to live life perusing what you what you want to convey people, love of all shades and realize that we can contribute to something beautiful. 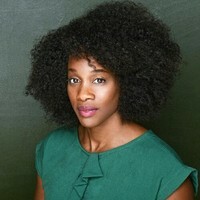 Keisha Prince is excited about being part of the talent in 52 Words of Love and thinks it is a special film. In her career, She would like to play future roles with emotional and transformational impact. If any of our listeners or World Poetry film partners have an upcoming project that might fit these goals, you can contact her. It was a great honour to have her on the World Poetry Café Radio Show and also to write about her in the Afro News. “When Alice (Stacey Iseman), a woman suffering from cancer, sets out to post one synonym for love every week for a year on a site she’s created that she calls “52 Words of Love,” she inadvertently sends a gentle ripple through her social network and discovers more about relationships than she imagined. With thanks to source: Tamar Gibbert and TARO PR. 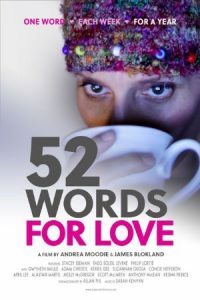 “52 Words of Love is sometimes tender and moving, sometimes petty and curt, sometimes hurt and angry and it examines the nature of modern love with a warm and unjaundiced eye. The film gently appraises the lives of its characters as they negotiate, reject, beg, or demand love. The title of the movie indicates that filmmakers already understand there is no answer, that love is elusive and complex, but it is a joy to watch them turn the idea of love around in their hands and examine its myriad facets. Beautifully composed and mounted, skillfully written and acted, achingly romantic, 52 Words of Love is a love letter to love itself.” Get it now on I-Toons! Special thanks to Tamar Gibbert of Taro PR, our great partners. This entry was posted in Ariadne's Notes, E-Poets, Featured musicians and artists., Featured Poets, General and tagged 52 Words for Love, Author Sharon Rowe, Dr. Mark Lomax, International Peace Award Ariadne Sawyer, Keisha Prince, Tamar Gibbert, TARO PR., Victor Schwartzman on February 18, 2019 by Ariadne.